At our dental office in Boerne we take our patients’ comfort very seriously and are dedicated to keeping them calm and relaxed at every appointment. However, there are times when the noise of the drill is a bit too much (we get it! ), treatment is too long to stay comfortable, or a fear of the dentist causes extreme anxiety. When these situations arise, sedation dentistry may be recommended. Sedation dentistry is a common treatment that uses medication to reduce anxiety and help patients relax. While sometimes referred to as “sleep dentistry,” sedation dentistry doesn’t necessarily require a patient to actually be asleep. In fact, depending on the type of sedation, patients are often awake. Achieving a calm, relaxed state with your Boerne dentist may be as easy as taking a tiny pill prior to an appointment. This type of sedation is referred to as minimal oral sedation and typically allows patients to stay awake and responsive, just a little bit drowsy. Moderate oral sedation is also an option. Still achieved by taking a pill, moderate sedation is usually a higher dose of the medicine but the effect is a deeper relaxation. Occasionally, patients tend to become so relaxed they may even fall asleep for a short time. More commonly referred to as laughing gas, nitrous oxide is another form of sedation dentistry that has only a very short effect on patients. Nitrous oxide is administered in the dental office through a mask and simply relaxes the mind and body. After treatment, patients will be given oxygen to help remove the nitrous oxide quickly without any lingering side effects. IV sedation is the deepest level of sedation that’s often controlled by an anesthesiologist. Medication is delivered into a vein through a needle. This allows the medicine to take effect very quickly and gives the administrator control over the dosage. Following IV sedation, patients may experience nausea, dizziness, or sleepiness for up to 24 hours. The main goal of sedation dentistry is to keep patients comfortable and, most importantly, safe while they get the treatment they need to keep them healthy. Dental offices that offer sedation dentistry have teams who are extensively trained in sedation, follow strict safety precautions, and monitor patients throughout treatment. If you or a family member has a fear of the dentist or the need for long, complex treatment and think sedation dentistry may help, we encourage you to schedule an appointment at our Boerne dental office. At this visit we will discuss all of the options available to you and recommend the best solution based on your individual needs. 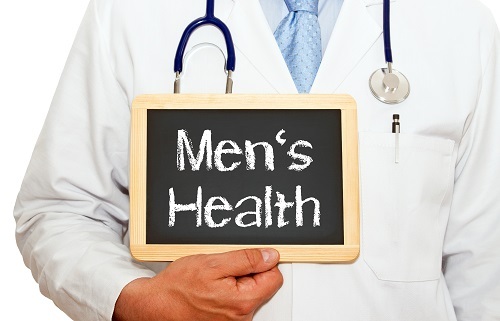 The truth is, men are more likely to skip the recommended bi-annual visits to the dentist. According to the Academy of General Dentistry, many American men simply don’t go to the dentist unless they have a problem. However, by maintaining dental appointments twice-a-year they can prevent many of these problems from ever occurring. The team at our dental office in Boerne want to help encourage men to keep up with their dental care to help avoid serious oral health and overall health problems. Visits to the dentist every six months go a long way in protecting your oral health and overall health. Don’t risk your health by skipping them. If it’s been longer than six month since your last appointment, we welcome you to call our Boerne dental office today.